Coffee keeps getting more and more complicated AND expensive. Don’t get me wrong- Starbucks makes a tasty drink, but I question whether most of what they serve is actually coffee. I definitely question whether it’s worth $4 or more for a single drink! You can make a frappamochasomething at home and save lots of money but that’s not what I’m going to talk about. There are plenty of copy cat recipes around. 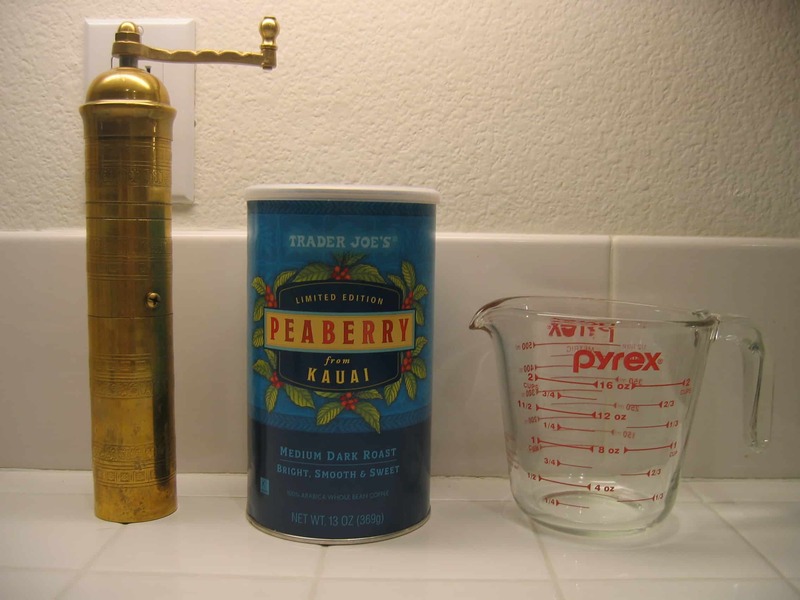 This post is about making Turkish coffee, possibly the most frugal coffee around. 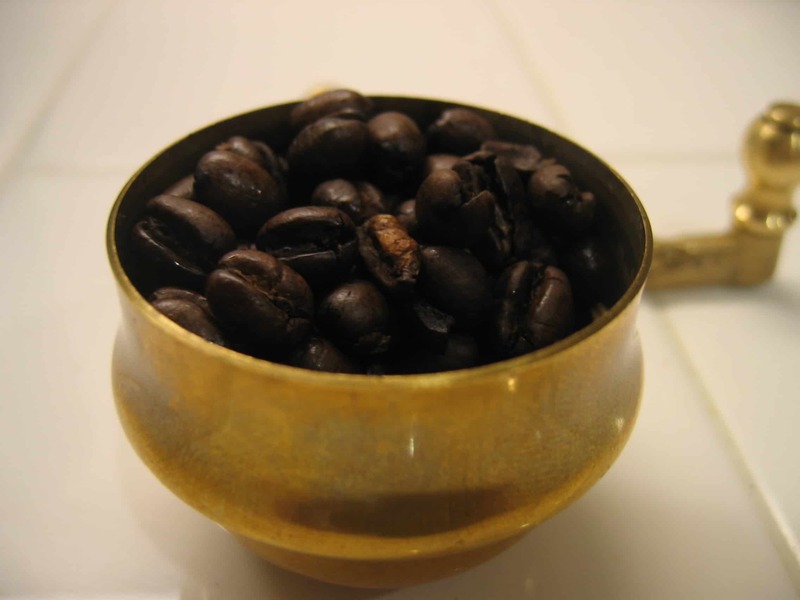 Turkish Coffee has a rich history going back several hundred years and is well ingrained into Turkish culture. One of the things I love about Turkish coffee is the simplicity of the equipment and ingredients. All you really need to make Turkish coffee is a grinder and some coffee beans. You should have everything else you need already! There are several methods of making Turkish coffee. My Turkish method forgoes use of the traditional pot in favor of the microwave. You could also use a small saucepan using the same principles. I have a Turkish grinder but you could also use any grinding method that can get the coffee to a fine powder. This is the finest grind of any coffee making method. 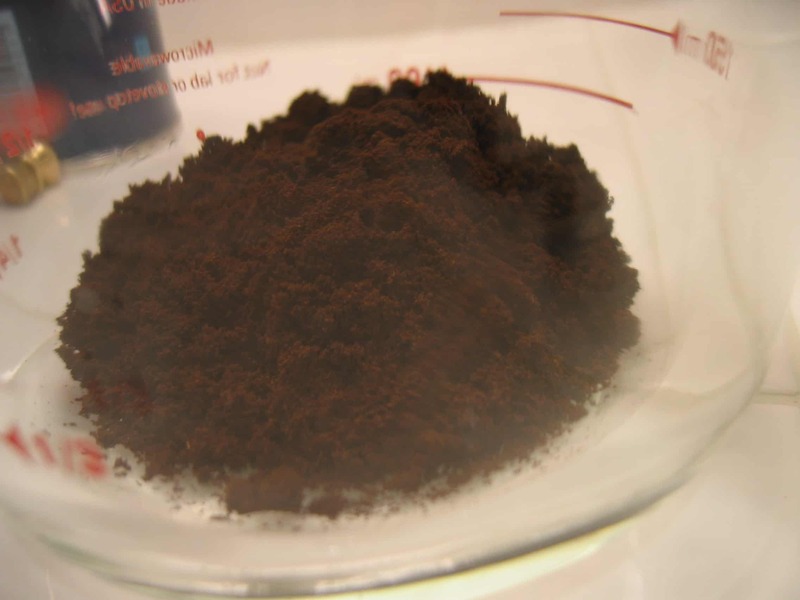 Properly ground coffee should feel similar to baking powder. 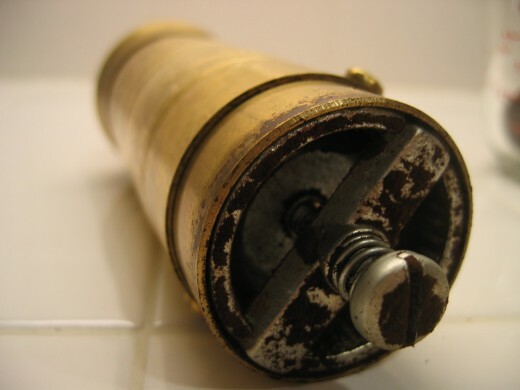 If you don’t have a Turkish grinder and would like one, look for a used Turkish grinder at garage sales and thrift shops. They tend to last forever so you’re likely to find a good used one. If you have a Turkish grinder you’ll need to get it adjusted properly. Take off the lower half and tighten the adjustment screw until you feel tension when turning the handle. Then back the screw off just a bit so the handle turns freely. You can also use a turkish grinder for espresso by loosening the screw more. Now you’re ready to grind. 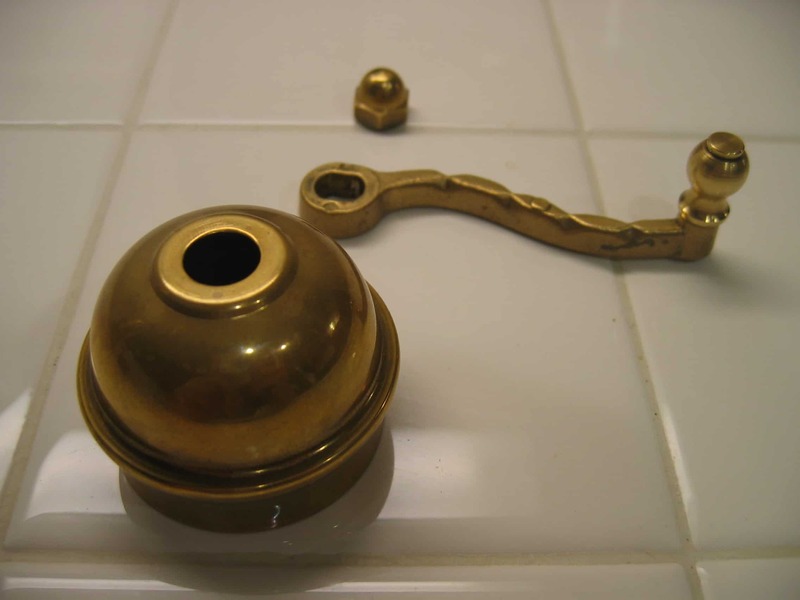 Replace the bottom half and unscrew the knob on top to remove the handle and upper cover. I use the cover to measure out beans. I use 1 lid full (or about 2T) per cup of coffee. Pour those into the grinder, reassemble and start grinding. I find that turning the handle slowly gets the job done quicker because turning too quickly keeps the beans floating above the grinding burrs. Shake every now and then to hear if there are any unground beans left. 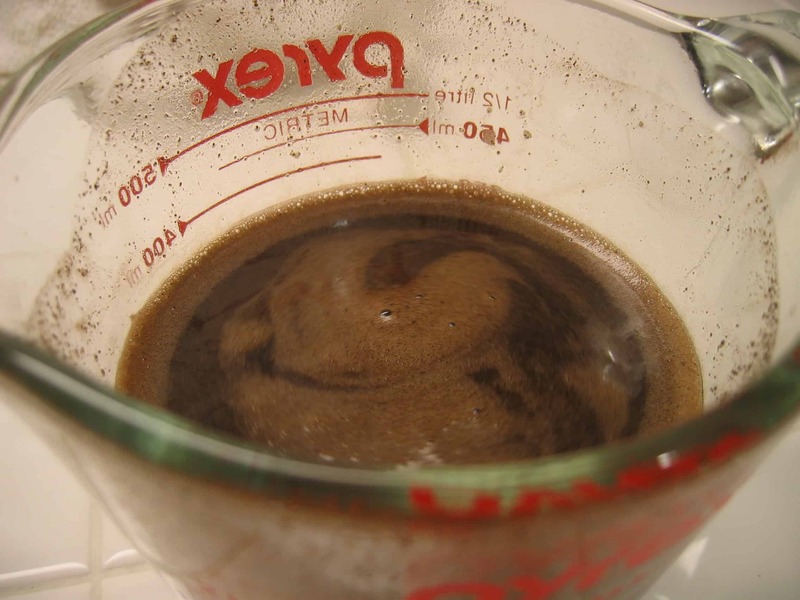 When the grinding is done, dump the ground coffee into a pyrex or similar measuring cup. It should be very fine, almost a powder. Now add water up to the 1-1/2 mark and stir well. At this point you’re probably thinking this will never be drinkable. I agree is looks pretty bad at this point, but it will turn into coffee- trust me. Now we’re ready to turn this into coffee. The trick now is to heat it up to a slow boil so that it takes about 5 min. A little more or less time is ok, but 5 min makes the best coffee. I like using the microwave because it’s easy to control the heat. I set mine for 5 min at power level 5. A little before 5 min is finished, I can see a low boil happening right near the top of the water line. WIth any higher power level, the boil happens too fast and boils over. At a lower power level, it never reaches a boil in the 5min. 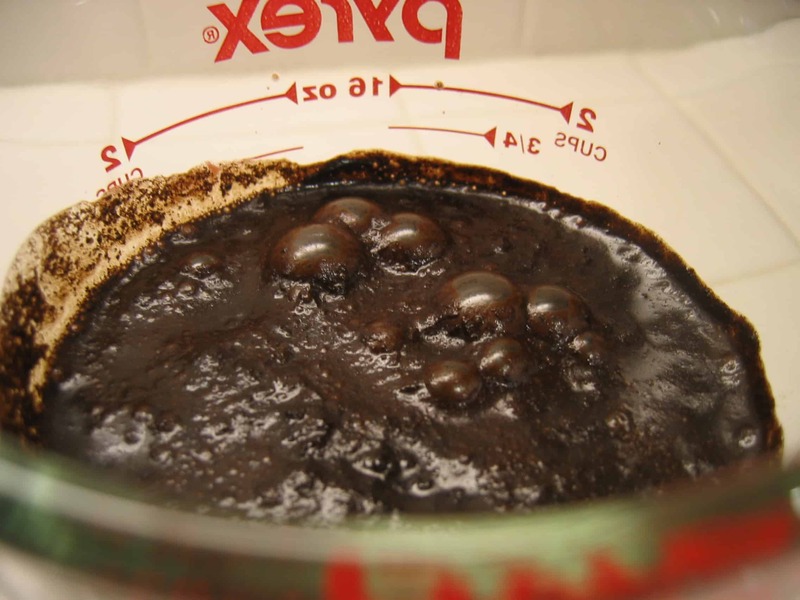 You should experiment with your own microwave until you get it right. Watch it! A little too much heat and it will boil over and leave a big mess in the microwave! You can also do this on the stove in a saucepan over low to med heat. Just time it and adjust the heat accordingly to get the low boil in 5 min. There’s a special coffee pot used for doing this on the stove. I don’t have one but will try to have my mom find one when she’s visiting Turkey next spring. Once you’ve heated it just right, give it a stir just on the top half of the liquid to loosen any grounds floating in the foam. If you heated it right you should be left with a nice foamy top like the picture below. Too much or too little heat kills the foam so that should be your guide. Now let it sit for 3-5 min for the grounds to settle to the bottom. Now you’re ready to enjoy. Turkish coffee traditionally is enjoyed with sugar. 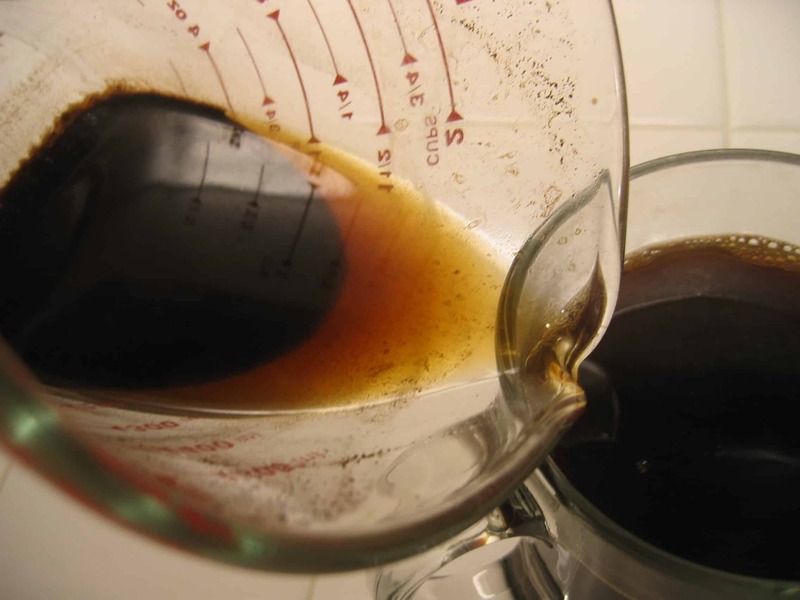 Actually, some methods call for putting the sugar into the mixture before heating. You should definitely try this. I like mine black so I don’t add any sugar. I sometimes add a bit of cardamon and/or cinnamon to the grinder with the beans. This is another variation. If the idea of spices in coffee sounds good, try googling “indian coffee”. I hope you try this and enjoy the results. I find that making coffee this simple and traditional way is uniquely satisfying in a way that no coffee shop cup could ever be. Maybe that’s the good feeling of frugality or maybe it’s just darn good coffee. Who cares? Thank you. This is just what I was looking for, and it works great too.